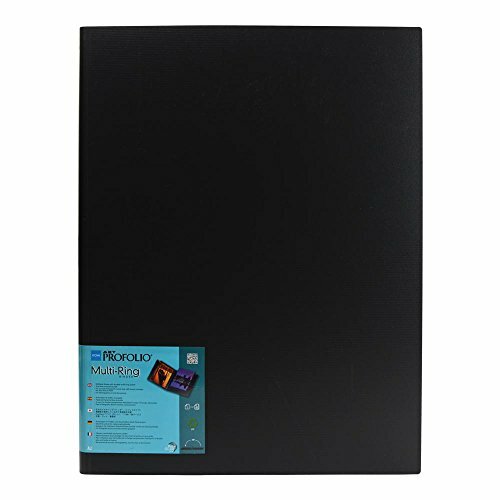 The Itoya Profolio Multi-Ring Refillable Binder in size A2 features a sleek, matte black exterior design with durable steel binder rings. The Polypropylene cover is rigid, yet lightweight. A unique, center-mounted , multi-fold spine allows the binder to lay perfectly flat. Designed for use with Itoya refill sheets and includes a pack of ten PolyGlass Pages refill sheets. Archival safe and acid-free. 18X24.